With UFC 219 just a day away, the promotion should be acknowledged for having put together an excellent card to close out 2017. It may not feature multiple title bouts and all of the big names fans clamor for, but there are intriguing bouts up and down this card. 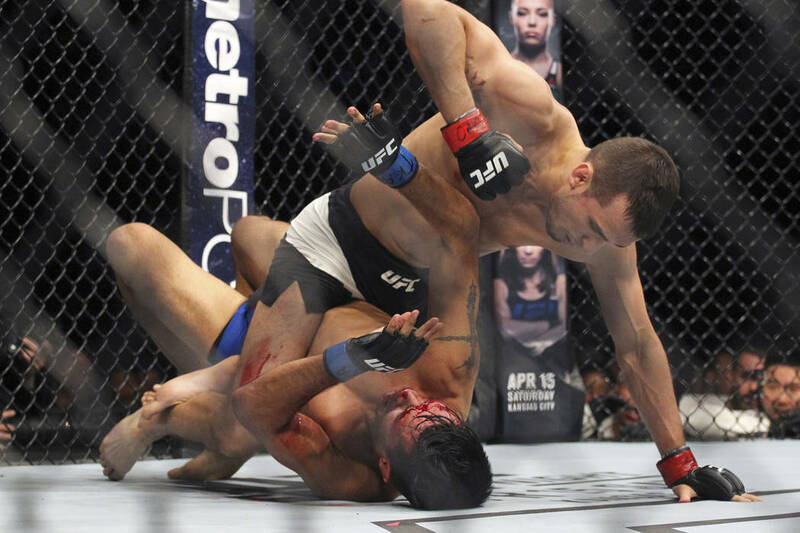 One of the more interesting fights pits Myles Jury against Rick Glenn in the featherweight division. This fight features an unranked former World Series of Fighting featherweight champion in Glenn, taking on a Top 15 UFC featherweight contender in Jury. Both fighters are looking to reemerge in the division after setbacks pushed them both out of the limelight. First, there is Jury. The man known as “Fury” was on a tear when he first entered the UFC in 2012. He was riding an undefeated career run which would grow to include six straight UFC wins over the likes of Michael Johnson, Diego Sanchez, and others. He was expected to become a title contender at lightweight, but that was before he failed the first big test of his career: Donald Cerrone. Cerrone delivered a one-sided destruction of Jury over three rounds at UFC 182, effectively smashing Jury’s hype train. Almost a year would pass before Jury would return to the cage. He did so at UFC on Fox 17, debuting in the featherweight division and losing in the first round against Charles Oliveira via guillotine choke. His return to the Octagon occurred at UFC 210 where he stopped Mike de la Torre via strikes in the first round of their fight. On the other side of the bout is Glenn. The 28 year old with near 12 years of professional experience made the jump to the UFC without a lot of fanfare. 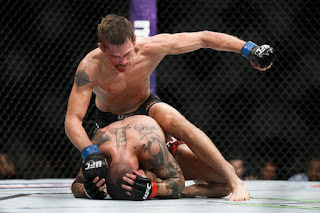 Having built his resume outside of the UFC, Glenn finally got into the promotion in 2016 when he took a bout against Evan Dunham on 12 days notice and moved up a weight class. Still, both he and Dunham won Performance of the Night bonuses. After the bout, Glenn moved back down to featherweight, where he would win two straight fights over Phillipe Nover and Gavin Tucker. What makes this fight so interesting is that these are two young fighters who are continually adding to their game. Jury’s extended time away from the cage has allowed him to improve, but many are wondering whether he still has what’s needed to push his way into the top tier of the division. He ran into a dangerous opponent in Oliveira, who came into the fight overweight. Glenn is another tough test for Jury, and the outcome will set the tone for Jury’s place in the promotion. For Glenn, this is the most important fight for him since joining the UFC. His two wins in the promotion show that he wasn’t a fluke when he fought outside of it. And because he didn’t come into the promotion with the same acclaim of Marlon Moraes, another WSOF champion, that has allowed him to stay out of the spotlight of big name fights. Instead, he’s slowly moved his way up the divisional ladder. If he pulls out a strong win on Saturday, he can be expected to appear in the UFC's Top 15 rankings the following week. The Rick Glenn vs. Myles Jury fight at UFC 219 presents some compelling storyline stakes and style matchups for the two young prospects. On a card with a number of different fights getting a lot of attention, this is one fight that should not be ignored.